Over the past few weeks Nintendo has been publishing interviews with key developers of various SNES titles to coincide with the recent release of the SNES Mini and, bringing this fascinating series to a close, a sixth interview has been released to talk about Kirby Super Star. The interview is held with Masahiro Sakurai, creator of the Kirby series and director of this particular title. Sakurai-san is perhaps best known not only for the Kirby franchise, but also that other little series Super Smash Bros. (you may have heard of it). Naturally, this is a great opportunity to get some inside information on his game-making process, and there are some interesting things to learn. 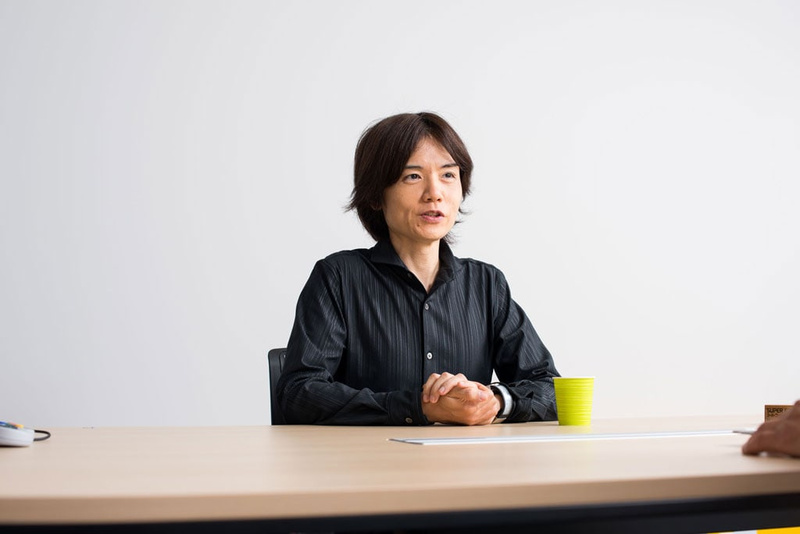 Topics covered within the article include Sakurai's initial dealings with Nintendo and what was expected of him from early titles, the "three pillars" that served as a basis for the development of Kirby Super Star, and how the decision for a two-player Kirby game came about. Sakurai-san also reveals that when the game is left idle, the demos you see on screen were actually played by him! You can check out the full interview here if you wish - it is an interesting read for those who like to know more about the development process of their favourite titles. What do you think? Are you a fan of Kirby Super Star? Let us know your thoughts on the interview in the comments below. Far and away still my favorite Kirby game. It looks like Star Allies is borrowing a lot from Superstar, and that's definitely a great thing. What's he doing out of his cage? I thought Nintendo had him locked away somewhere with some hamster pellets and a Smash Bros. Switch developer's kit. Been a blast revisiting this game on the SNES Mini. Easily my favorite Kirby game. If Star Allies can capture the magic of its predecessor, it'll merit a purchase. @thesilverbrick would you mind explaining the appeal of Super Star Ultra? I had the DS re-release and playing it again on the SNES mini but, is it all just mini games? Spring Breeze is short and I can't see a reason why I'd ever play the Gourmet Race more than once. I guess what I'm asking is, what is supposed to be the 'meat' of the game? This man is a god in games development. I have enjoyed Kirby Superstar on the Classic SNES Mini. I like the concept of short adventures broken up into sections. Great to pickup and play whenever. The RPG parody references were pretty funny. Too many Kirby games, I got burned out playing so many Kirby on 3DS. Get to work on a new Kid Icarus, Sakurai. @Mogster The 'meat' of the original is three modes, Lost Cave Offensive (Basically a Kirby & the Amazing Mirror style game), Meta Knight's Revenge (A timed mode where your goal is to get through stages as quickly as possible), and Milky Way Wishes, (A game where you permanently unlock power ups but can't absorb them) Each one is about a third to a half the length of a standard kirby title. In addition, Arena (in Ultra, Helper to Hero and True Arena too) are considered huge time sinks as their boss gauntlets. In ultra Revenge of the King is a much upgraded version of Spring Breeze, and Meta Knightmare Ultra lets you play through the entire game as Meta Knight. There's a LOT of content, sadly the early game material is the weakest so you have to get through that. Even if you just get to Dyna Blade though (the closest to a 'traditional' kirby, basically new levels in the style of Kirby's Adventure) it improves a lot over Spring Breeze. @Mogster It's kind of hard to put a finger on it, but Kirby Superstar was the last Kirby game (and likely the only one) that didn't feel extremely deliberately architected. It felt entirely organic and had layers of complexity that newer Kirby games don't tend to have. I will say, the 3DS games were a step in the right direction, but they really needed a bump up in difficulty. I'm digging this retrospective open-ness about development and design that Nintendo has been championing since the Iwata Asks sessions started those 10-11 years ago. While I enjoy watching from the sidelines during a production as well, it's often very slow and tiresome, and seeing the developers being well past the hard times and being able to joke about frustrating parts of development is very comforting. It's also a type of audience involvement that doesn't incite the fierce co-ownership that some like to feel if they have backed something on Kickstarter, bought it in Early Access, or just followed a blog for years and played pre-alpha snippets and provided feedback. Sakurai is a hero of the people. One of my favorite professionals hands down. Ppl want from him the next Smash but honestly I think the Switch can do with just a port of Smash WiiU/3DS combine into one game. What I really want from him is Kid Icarus Uprising 2. That game is such a gem on 3DS. I wish Nintendo would HD remake 1 and make 2 part for Switch. Ah well, it certainly is fascinating to read these. Video games as an art form do sometimes feel like they've been magicked out of the air, so understanding the actual thinking behind them is great. Super Star is fantastic, I only got into it a few years ago, and it's a shame I didn't play it back when I was a kid! It's so good! The only issue I ever had with the Ultra version on DS was that they changed the control scheme...and gave no options to change it. So if you grew up playing the original KSS, playing KSSU takes quite a bit of getting used to. They did add some cool extra content though! Reminds me a lot of Yoshi's Island and it's control scheme for the GBA port..
@Mogster Literally every other game. Except for maybe Dynablade, they are all much bigger than Spring Breeze. Actually, yeah, just seeing Sakurai's name popping up on NL brought me all the way back to 2013.